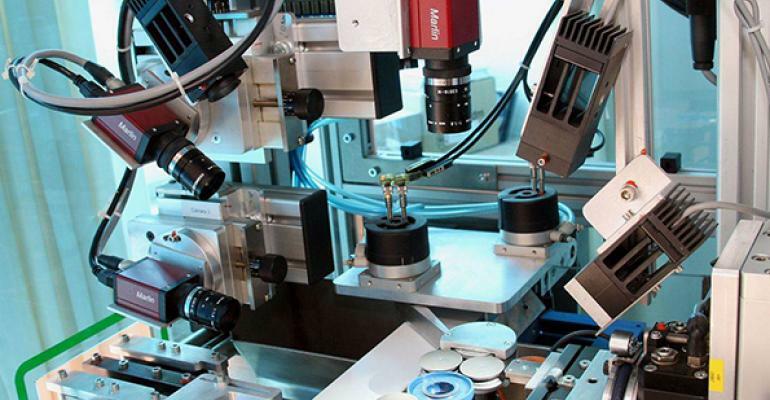 With the development of artificial intelligence and industrial automation technology such as dimension inspection equipment and CCD optical sorting machine, many excellent manufacturers of machine vision technology have emerged in China nowadays. As one of the Chinese machine vision equipment suppliers, Shenzhen Sipotek Technology Co., Ltd., with its 16 Years of continuous research and development , is gradually becoming one of the leading companies in the machine vision market. The dimension detection device is based on the computer camera to imitate human eye vision, and uses a special vibrating plate of automatic feeding mechanism to collect, calculate, judge, and sort specific physical images. It is not only for detecting the size (including length, height, diameter, etc.). ), but also suitable for product mixing detection, deformation, burrs, scratches, lack of materials, stains and other requirements. According to the industrial cases, optical image sorting machines and dimension testing equipment are mostly used in screws, rubber rings, mobile phone accessories, plastics and other industries. Which has already achieved very good detection results. According to the usage of the inspection machines, the specific data shows that the highest detection Speed can reach 1200pcs /min, with detection accuracy up to 10u. Cases showed that machine vision inspection is equivalent to 6-8 quality inspection workers.